I recently posted the above video on YouTube. I'm hoping to find a few new people that are interested in beginning or returning to practicing martial arts. Our situation at Prairie Martial Arts is unique. It's certainly not for everyone. First we are a small group and train in my home. That creates both benefits and challenges. Due to the size of our space we are limited in how many people can participate. It is also very important to us that we find not just new people but the right people. Often when people inquire about training their first question is "What does it cost". Beginning in January there will be no cost for training. Of course people can contribute to help cover expenses like insurance but there will be no standard set fee for tuiton. If you would like to learn more about what we do I would encourage you visit the Prairie Martial Arts Channel on YouTube. If you would like more information or would like to like to schedule a visit you can contact me at pvkscooks@aol.com . Its Tony DeMarco via Richard Kimura. I finally found your blog, enjoy very much the cartoons of Roushiichi. I went looking to find the original on your blog. 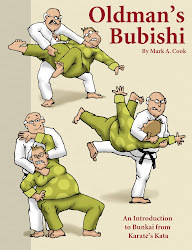 I did not find it, enjoyed the bunki of the Heian Kata. I am always looking to study the opening of Heian nidan. 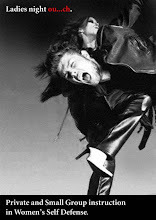 I like the idea of the grab of the shoulder. 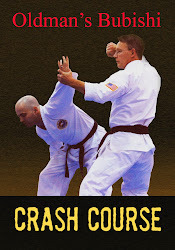 I have been working with a friend here from Judo, and Roushiichi on Tai Otoshi, thinking maybe your oyo as a starting attack might be fun to work with into your strike, and then into tai otoshi or Roushiichi Ippon seoi. His nage does seem to fit the kata movement better...just dont tell him...(^^). 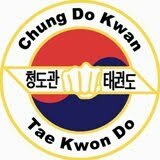 BTW we are early Chung do kwan and do many shotokan kata in addition we do the Kuk Mu seiries that has a more Korean flavor.